TCBA Starts a Youth Mentoring and Scholarship Program!! Thanks to the ground-work laid by our founder, Tanya Philips, as well as our ever supportive and growing number of members, we have finally reached one of our original goals. TCBA is very proud to announce that we have finally kicked off our inaugural Youth Mentoring Program! Finding a path or a hobby that you are passionate about is not always an easy task. And, once you do find a hobby you are interested in, it can be even harder to get started and find a reliable source to learn about your new hobby. This is why Youth Programs, such as this, play a very important role in the lives of our younger generations. 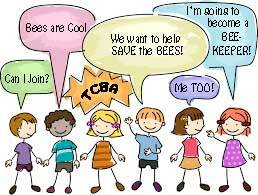 TCBA’s Youth Mentoring Program is a scholarship based program designed to help today’s youth get started in beekeeping by providing them the resources and guidance needed to become tomorrow successful beekeepers. By becoming a young beekeeper, our youths are not only learning about the wondrous world of the honey bee, but they are also learning about the importance of our tiny friends in nature, as well as becoming better stewards for our world. Through our annual Tour de Hives event, fundraising activities, member support, and donations from people like you, we are able to offer kids an opportunity to chase dreams that might otherwise seem out of reach to them. We are very excited to bring this opportunity to Travis County, and we hope will join us in helping enrich the lives of youths in our area. If you would like to learn more about our Youth Mentoring Program, please visit our Scholarship Page. This entry was posted in Uncategorized on February 19, 2017 by JJ John.